Remembering passwords is a hassle! We all know the things that we are supposed to do but we are all human beings (aren’t we?) and it’s almost impossible (and certainly very impractical) to set strong, unique, and memorable passwords for each and every account we have. I’ve come up with a policy about how I deal with my passwords. My love of TLAs means that I have decided to call it my PPP or Personal Password Policy. I’m quite proud of it tbh (the acronym too) and I hope that you find it useful and/or interesting. Note: I use the word “cracker” when most people are more familiar with the word “hacker” being used. Read more about why I do this. 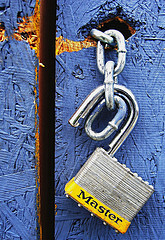 Passwords are past it – are certificates the key to better online security?